Neil King, former Wall Street Journal deputy bureau chief, tweets that he's hearing the total number of congressmen with sexual-harassment skeletons "may top 40." USA Today's banner: "Congress reels from resignations." 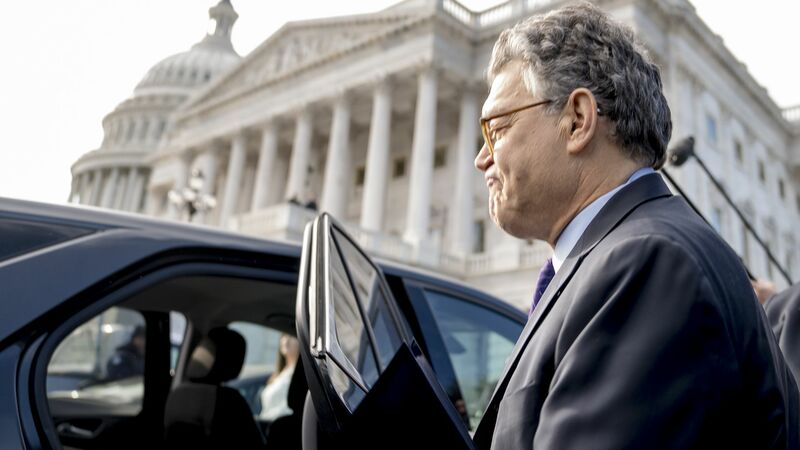 Many lawmakers are scared that Sen. Al Franken (D-Minn.) set a new threshold for resignation. Facing allegations of sexual harassment, Republican Rep. Blake Farenthold of Texas and Democratic Rep. Ruben Kihuen of Nevada have so far resisted calls to step down. Republican Rep. Joe Barton of Texas said he won't seek re-election next year. Life lesson: Most men are good men. They treat women with respect and dignity. They work hard, set good examples, and do the right even when no one is looking. Be smart: It's sad testament to our times that we need to be reminded of this. But I'm grateful to be surrounded by great role models — women and men.